These are the most popular type of lenses worn as they offer the greatest convenience and comfort. Combined with the latest soft silicon hydrogel materials these lenses provide the perfect combination of comfort and health. As the name, disposable, suggests the lenses are thrown away after a number of wears - typically monthly, fortnightly, weekly or even daily. This means that you are always using a clean fresh lens improving the comfort and the hygiene of contact lens wear. 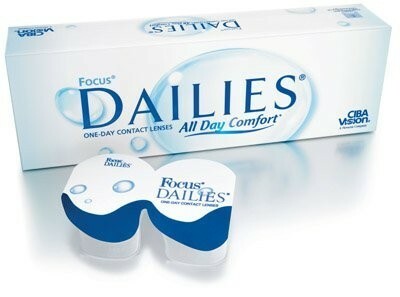 Daily disposable lenses are the most popular type of lens. They offer the ultimate in convenience and the health of your eyes with a fresh new sterile lens being used each day. Comfortable to wear and, as they require no cleaning - you just throw the lens away at the end of the day - life couldn’t be any easier. Also available are extended wear lenses. These lenses are made of the soft Silicon Hydrogel material and are designed to be worn both during the day and night for up to 30 days at a time before being thrown away. Offering the convenience of clear vision 24 hours a day they are ideal for people with demanding lifestyles such as health workers and new parents! Made of similar types of materials as the disposable soft lenses these tend to be for more specialist prescriptions. Gas Permeable lenses are made of a rigid material which allows the eye to breathe. Whilst not quite as comfortable as soft lenses they soon settle down to give excellent comfort. These lenses are often used for correcting high levels of astigmatism. 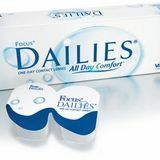 Extended wear lenses can be slept in and are ideal for those whose jobs mean that they lack a standard working routine. They offer the benefit of being able to see clearly as soon as you wake up. They are not suitable for all contact lens wearers.